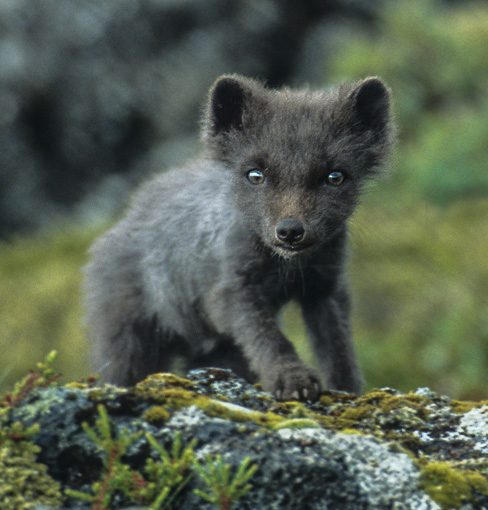 "Whilst driving along a small dirt track, I came across an Arctic Fox cub playing in the middle of it. It quickly scampered away over the surrounding moss covered lava field, and after about 200m disappeared into its den. Over the next couple of hours, I got some good shots, of up to 5 cubs, as they played around the entrance to their den. This shot shows one of the more inquisitive fox cubs as it stares at me from a boulder next to its den. This particular individual proved very inquisitive of my presence and allowed me to get quite close, once it had got used to me being there over the course of a couple of hours."